The Cough Candy sweets are something that I had a love hate relationship with, They weren’t a favourite in fact at times I disliked them and yet I kept buying them and so when I received the Balbo Beard Co Cough Candy Beard Oil, I was intrigued! 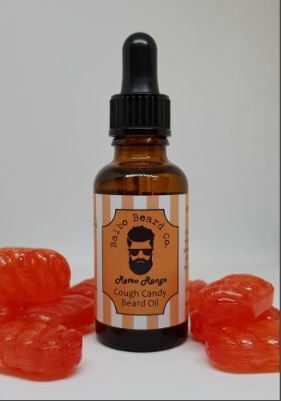 The Cough Candy beard oil is one of the oils in the Balbo Beard Co Retro Sweet Shop range and it has proven to be a very popular addition to the Balbo products. A base of Grapeseed, Jojoba and Argan carrier oils has created a beard oil that I love, it leaves my beard feeling soft and you can feel that it is a quality oil. Yes two different brands may use the same carrier oils in their beard oils but they can be poles apart and this is down to the quality of those oils and the ratios of oils used. The Cough Candy scent is obviously a fragrance oil but unlike some other beard oils that use fragrance oils, you don’t get that scent of the alcohol in these oils from Balbo Beard Co. The scent is actually spot on and memories of the twisted cough candy sweets stuck to the paper bag jammed in my coat pocket at school came flooding back. The Balbo Beard Co Cough Candy Beard Oil comes in a 30ml glass bottle with a glass dropper and costs £9.99 from the website.